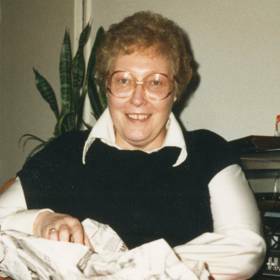 In many ways, Janet Aernie defined the meaning of a quick-witted and headstrong woman. She had a wonderful sense of humor that delighted all within her company. Janet was a hard working and committed mother, and when it came to her grandchildren, she found the greatest joy. Her dedication was without end, and her passions and interests exemplified Janet’s one of a kind nature. Although she always did the best she could, once Janet put her mind to something, there was no stopping her. Someone with whom others could rely for an honest opinion and a positive word, Janet lived fully surrounded by those she held most dear and leaves a lasting legacy to be forever remembered. By 1935, life was greatly defined by the trials of the Great Depression, yet Americans forged on with lasting hope. President Franklin D. Roosevelt was re-elected to a second term while Ginger Rogers and Fred Astaire danced their way into the hearts of many. 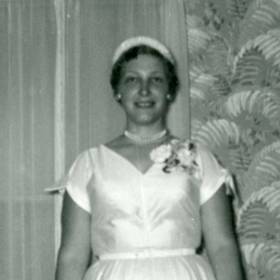 Born on September 12, 1935, in the close-knit, Allegan County, Michigan village of Martin, Janet was the third of eventually six children born to her parents, Donald and Laverne Rantz. Janet grew up on their family farm in Shelbyville alongside her siblings, Harold, Evelyn, Donna, Bill, and Dave where they each learned the value of hard work. Janet was no stranger to milking cows and other farm chores. She particularly had a dislike for snakes which were plentiful, and her older brother, Harold endlessly picked on Janet with them whenever he had the opportunity. Growing up, fun times were spent swimming at Gun Lake where numerous memories were made and enjoyed. Like many young girls, Janet enjoyed several close friendships throughout her youth. 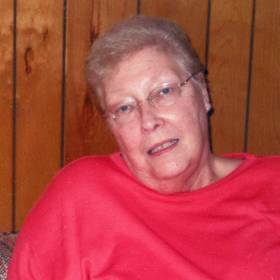 She attended Wayland Public Schools and went on to graduate with the Class of 1953. After graduating from high school, Janet moved to the city of Kalamazoo which offered a young woman like her more opportunity. In Kalamazoo, Janet landed a job working at Shakespeare and Clarage Fan Company. It was also following high school when Janet met Eugene Aernie. Young and in love, the two were married in 1956. Although they later divorced, Janet was forever thankful for the two children they shared from their union, Dennis and Jeff whom she deeply loved. To support her boys, Janet eventually began working for the State of Michigan as a secretary. It was a joy to know Janet with her quick witted nature. She worked hard to provide a good life for her sons and was very good at stretching a dollar. Responsible and dependable, Janet always made a way to have fun with the kids. They enjoyed a trip to Colorado when the boys were young, and through the years they shared great times camping in campers and cottages they rented. Although Janet was not fond of cats, she always made sure her sons had a canine companion to love. Never one to take any guff from her children, or anyone else for that matter, Janet knew how to stand her ground and never hesitated in speaking her mind. 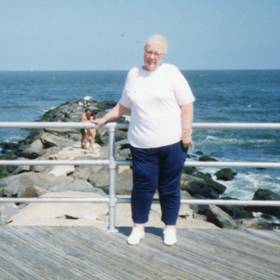 Over the years, Janet enjoyed trips to Branson, Missouri and she visited New York City several times, as well. For quite a few years, Janet enjoyed the cold months of the Michigan winters from afar in Las Vegas, Nevada. In fact, her email was “Vegaslil777”, and she knew her way around the penny slots at nearly every casino she visited. She also thoroughly enjoyed herself people watching at the casinos. When it came to music, Janet preferred country and western, and as a talented card player, she absolutely loved playing cards. She especially loved winning card games even more! Janet’s grandchildren were the delight of her life. Andy, Nick, Dillion, Bradley, and Anthony were truly her pride and joy. Together they spent fun times frequently taking in movies at the theater, going for floats at the local root beer stand and many trips to Dairy Queen. One of a kind, Janet Aernie left her mark on the hearts of those closest to her. She sacrificed much in her earlier years, and in her later years, she enjoyed much to be thankful for, especially her family. Gone yet never to be forgotten, Janet will be deeply missed and fondly remembered. 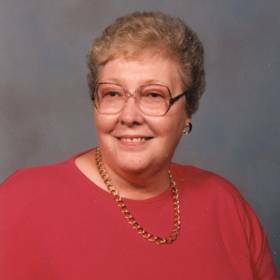 Janet Aernie, age 80 of Kalamazoo, went to be with the Lord on Wednesday, August 17, 2016, at Heritage Community Care.  Visit with her family and friends and view her life story film on Sunday, August 21 from 1:00 to 4:00 pm at the Life Story Funeral Home, Plainwell; 120 Woodhams St. (685-5881). A funeral service will be held on Monday, August 22, 11:00 am at the Sunnyside United Methodist Church; 2800 Gull Rd. Kalamazoo MI 49048. Janet’s family includes her children: Dennis (Elaine), and Jeffrey; five grandchildren and one great-grandchild; two brothers: Harold (Janet) and Bill (Gail) as well as several nieces and nephews. She was preceded in death by her parents; her daughter, Vicky; granddaughter, Melissa; two sisters, Evelyn, Donna, and by her brother, Dave. 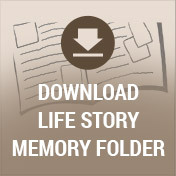 Please visit Janet’s memory page at www.lifestorynet.com where you can share a favorite memory or photo and sign her memory book online. Memorial donations can be made in her memory to the Heritage Community of Kalamazoo Foundation or to Sunnyside United Methodist Church.